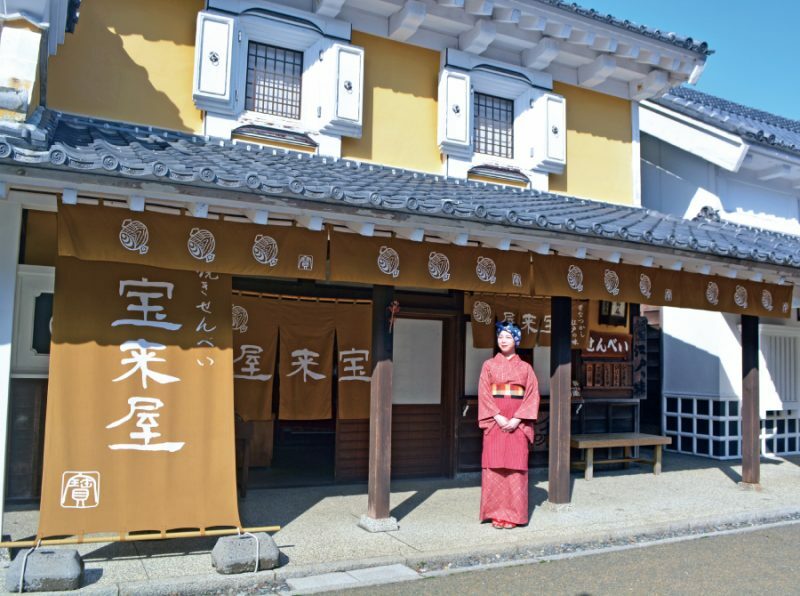 General souvenir shop next to the Otemon gate. 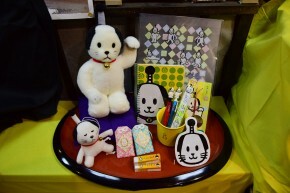 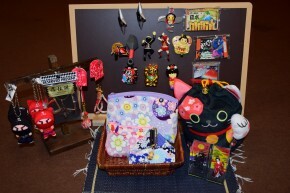 This shop offers all kinds of goods featuring historical characters and more. 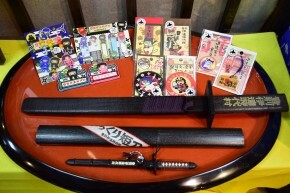 In addition to long-loved "Nyanmage" goods, there are Sengoku Samurai items, Shinsengumi replica swords and umbrellas, ninja goods and other items special to Jidaimura. 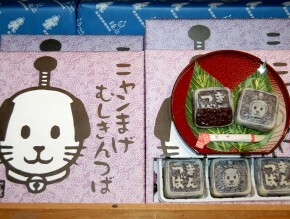 This sweet shop has a full range of Jidaimura-only goods. 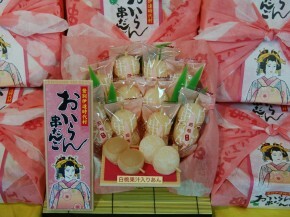 Take some home for family, friends...or yourself! 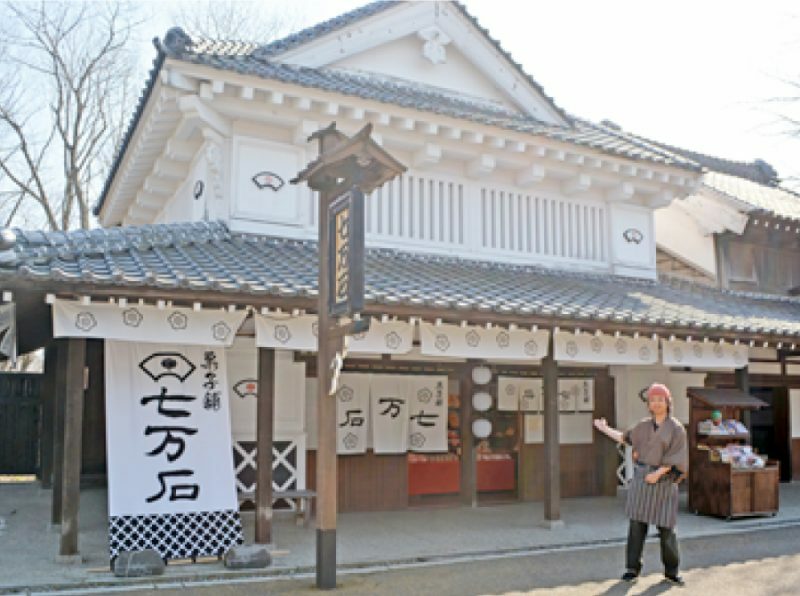 With all kinds of treats you can only get at Jidaimura, they offer Nyanmage Cookies and Nyanmage Mushikintsuba steamed sweets, as well as Oiran Kushidango dumpling skewers. 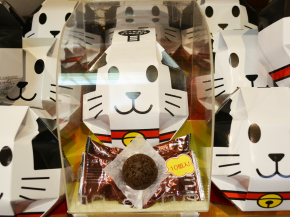 You won't be able to stop with these old-fashioned flavors! 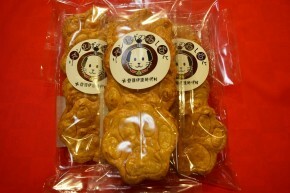 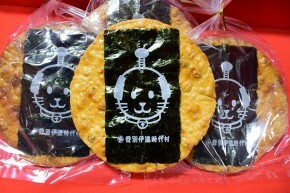 Hand-roasted senbei crackers are perfect for walking and snacking! 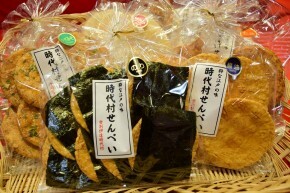 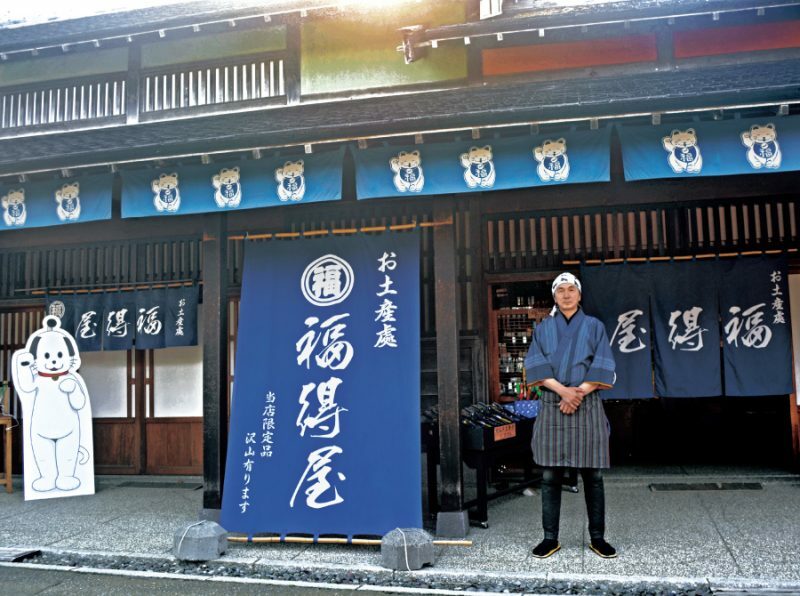 This shop offers rice cracker senbei, fried arare, and of course Jidaimura's famous flavored senbei crackers (Nori seaweed, soy sauce, Tamari soy, rock sugar, shichimi hot pepper, spring-onion miso).